"We are still gathering input to determine how the SSC will be staffed. Our focus is on developing a plan that is fair and transparent, and allows any interested staff member to seek a position in the SSC." Will Research Centers HBC and LSI retain the staff they have since they are being designated as SSC's? How is that fair to other staff across campus that will have to apply for positions in new SSC's? Many have more experience and longevity than the staff in those Centers. A. Thanks for your question. We are still considering how to staff the shared service centers, including the SSCs serving HBC and LSI. We are currently gathering input from staff before making a decision. We are carefully considering what is fair to all staff: those currently working in departments and centers, as well as those hoping to move to an SSC. We expect to make a decision in the next few weeks. Q. What is the management structure of the Academic SSCs and the Research SSCs? Who is going to manage them? How will that be decided? How will the positions transitioning to the SSC be decided? Will everyone have to apply? Thank you. A. The reporting relationships for the SSCs have not been finalized. We do know that each SSC will be led by a SSC Manager. In addition, these individuals will have reporting relationships and accountability to the deans, directors, and unit leaders that are served by their SSC. SSCs will also have functional reporting relationship to either HR, finance or research administration. Central HR and finance and KUCR will continue to play a critical role in training and policy development. Governance of the SSC will be critical: the leadership of the schools, centers and units served will review the SSC performance on an ongoing basis, considering the results of customer satisfaction surveys and key performance indicators. The Design Review Committee and SSC Steering Committee are discussing the governance structure and reporting relationships for SSC over the next few weeks. We will share the final model as soon as the committees have had time to discuss with campus leaders and finalize their decisions. We are still gathering input to determine how the SSC will be staffed. Our focus is on developing a plan that is fair and transparent, and allows any interested staff member to seek a position in the SSC. We are also working on plans to provide staff with access to training and support to help individuals think through career goals and decide if they would like to seek a SSC position, or would prefer to remain in the department. Q. I am a research associate professor/PI in a designated research center that has been assigned to an academic SSC. The model document indicates that "Centers and PIs can opt to align with a research SSC." So, I can ostensibly move my projects to a research SSC, but I don't understand how doing so would actually work, especially if the research that I am conducting does not align with a different SSC. In addition, if I remain affiliated with the academic SSC, will the F&A return for my projects drop from 6% to 4%? A. Thanks for your questions. The opportunity for PIs to align with a Research SSC or an Academic SSC is intended to preserve the choice that you currently have today. If you are currently aligned with a Research Center the same factors that supported your initial alignment with that Research Center may continue to drive your continued alignment with that Center. However, if you currently are a PI being served by departmental staff, this may offer an opportunity to have your research administration needs supported by a Research SSC, rather than an Academic SSC. The funding model for the SSC is currently being developed; the Design Review Committee and Steering Committee will be examining different funding models later this month. Any impact to the way in which F&A recoveries are distributed around campus will be carefully considered and will be communicated to PIs well before any changes would go into effect to enable you to plan accordingly. Q. So, as I understand it the College departments have their own SSC with it's own HR, Budget, Research within it? How will this work, and will the college departments use the center that is locating in the Continuing Ed building at all? Some clarification about this would be great. A. Yes, the College will be part of the Liberal Arts & Sciences shared service center (SSC). This SSC will provide personnel, budget and research support to the College. As an interim step in the process of implementing SSCs across KU, the Recruiting & Onboarding Center (ROC), located in the Continuing Education Building, will open in July 2012 because of the timing of the HR system upgrade. HR Coordinators in the ROC will be aligned with particular schools, centers and units. As SSCs are implemented around campus, the HR Coordinators in the ROC will move into their respective SSC. For example, there may be 2-3 HR staff supporting the College in the recruitment and onboarding center. Those staff members will transition to the Liberal Arts and Sciences SSC when it opens next winter. The recruitment and onboarding center is being implemented in advance of the SSCs. Thank you for your question. Q. Will the SSCs process travel reimbursements or purchases made with KU Endowment funds? A. Shared Service Centers (SSCs) will provide HR, Finance, and Research Administration support to their departments and units. The specific tasks in each of these broad areas are currently being identified by SSC Committees with input from focus groups, interviews and feedback. Travel reimbursements and purchases made with KU Endowment funds will be considered along with other activities for the SSC over the next several weeks. Q. Am I correct in assuming that Research Administration is really "sponsored projects" administration, which can be research, evaluation, technical assistance, etc. in grant or contract forms? If so, as you likely know, many sponsoring agencies restrict use of their funds for shared services. How do you envision this relationship between the SSCs and the sponsoring agency limitations on funds? Q. I understand academic faculty are expected to devote a substantial portion of their state/tuition-funded time to research activities. Will these efforts be supported by the SSCs? Do you expect greater "scientific" productivity from the faculty as a result of support from the SSC? If so, what are the accountability mechanisms for such productivity? A. SSCs are being set up to support the research administration, HR and finance needs of faculty. It is expected that, over time, as resources and staff time are freed by more efficient processing and support, the funds created will support the University's research and teaching goals. Accountability for the use of these funds will be considered during the Provost's budget discussions with leaders across campus. Anytime an organization brings in another company to provide solutions in saving money and/or improve efficient of jobs the hidden message usually means lost jobs. Since that is clearly the case here then the only question remains: How many of us will be able to keep our staplers? A. We realize that the move toward shared service centers is causing anxiety on campus. Staff have many question: will my job change? will I be asked to move to a new workspace? will I have a job? We are moving to a shared services model with the goal of increasing service on campus for HR, finance and research administration activities and, at the same time, providing resources to help KU realize the aspirations outlined in our strategic plan. These goals will, by definition, dramatically change the way that work is done on campus. The SSC implementation will take several years; once complete, we do expect there will be fewer staff performing administrative support on campus. However, we also expect to increase the staff and faculty directly conducting and supporting research and teaching, while at the same time offering administrative positions of increased professionalism and expertise. We have a culture at KU of thinking of our staff as family. It is our goal to manage staff reduction through positions that open up as people leave and retire. While it is true that your job may be different, we are confident that there will always be a place for talented and dedicated staff within our teams. Q. What is a shared service center? A. The goal of shared service centers (SSC) is to provide increased levels of service by reorganizing some of the transaction-based activities that currently occur in the units and departments at KU. Training for Shared Service Center staff will ensure they have the tools to succeed. Although many current functions will remain in the departments, some HR, Accounting and Research Administration responsibilities will move to shared service centers. If work currently performed by staff is no longer done in the department, some of the staff will move to shared service centers or stay to support the academic mission of their departments, units and centers. Q. Have any other universities implemented shared service centers? A. Yes, universities are increasingly turning to shared service centers to improve service and reduce costs. For example, Oregon State University has a fully implemented shared service center model; North Carolina State and the University of North Carolina Chapel Hill and the University of Texas are all in the early stages of implementation. KU has a tradition of using shared service centers to serve researchers on campus: the Higuchi Biosciences Center and the Life Span Institute have operated for years as a form of shared service center serving the accounting, HR and research administration needs of KU’s Principal Investigators. Q. How is a shared service center different than central services? A. Central services are remote from the customer, providing both services and critical audit functions with accountability only to the central administration. The Shared Service Centers will be designed to provide efficient and effective service to the departments and units they serve with a focus on customer service and problem solving. Annual surveys will assess the level of customer satisfaction with the services provided; ongoing metric assessments will measure the effectiveness and efficiency of these services. To ensure that shared service centers continue to provide the level of support and customer satisfaction needed, service level agreements—clearly detailing the expectations of both parties—and advisory committees comprised of deans, faculty and central staff will be established to improve governance and accountability. Q. How many Shared Service Centers will be in the final model? Q. What services will be provided? A. Shared Service Centers provide HR, Accounting and post award Research Administration support to their departments and units. The specific tasks in each of these broad areas were identified by Shared Service Center Committees with input from focus groups, interviews and feedback. Q. How many people will be assigned to work in the Shared Service Centers? A. The number of employees transitioned to each center will be based on the size of the departments and units served by each unit. Q. Will there be a growth in the services delivered over time? A. After shared service centers are established, the services offered may grow based on the needs of the units and departments each center serves. Q. How will staff be selected to transition to work in a Shared Service Center? Q. 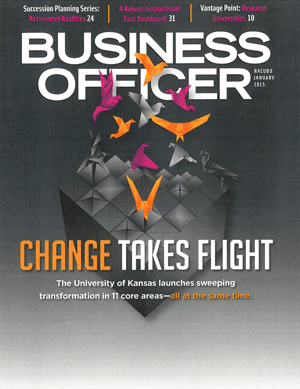 How do shared service centers fit with KU's Changing for Excellence Mission? Q. How will the Shared Service Centers improve service on campus? A. By implementing shared service centers with trained experts in HR, Accounting and Research Administration, activities in these areas can be managed more effectively and services can be provided to units/departments/centers at higher quality. Shared service centers will provide for backup staff during vacations or absences. In addition, shared service centers will increase the speed and accuracy of transactions, increase capacity for complex transactions and improve and simplify compliance. Q. How will the Shared Service Centers benefit my department/unit/center? A. Direct benefits to units/departments will vary, but in general Shared Service Center customers will receive timely, expert service in the activities supported by the Center. The time and resources saved by utilizing the Shared Service Center will be redirected to support the strategic initiatives of departments/units/centers and the University at large. Q. What would life be like in a Shared Service Center? A. As a Shared Service Center staff member, you will be trained on the latest technology and systems being implemented at the University. You will have the opportunity to expand your knowledge and experience in the shared service center while serving a broader range of customers. Opportunities for career development within the shared service center will be available. Q. What should I do if the work that I currently do is being moved to the Shared Service Center? A. As Shared Service Centers are implemented over the next several years, we will be working with Deans, Chairs and department Directors to identify what work will remain in the units, and what work will move the Shared Service Centers. Deans and unit leaders will be encouraged to meet with staff whose positions are impacted by these changes to explore the menu of options. Depending on your interests and career goals, you may choose to seek out a position in the shared service center or, you may wish to stay and support the academic mission of your department.